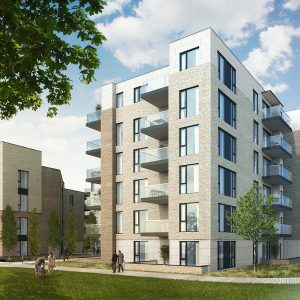 With the lack of housing supply continuing to dominate the local and national news, any white smoke of new schemes receiving the green light from the planning process will be welcomed by many quarters. 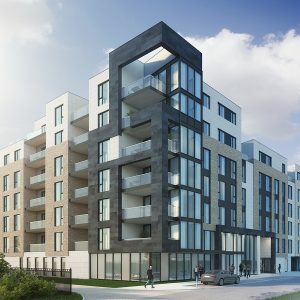 In October 2 016, Crekav Landbank Investments Ltd received planning permission to build 340 residential units at the Carriglea Industrial Estate on the Naas Road. 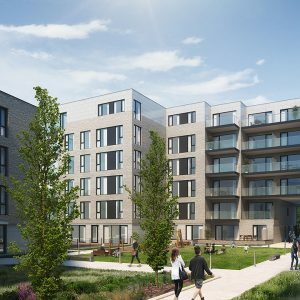 In recent weeks however, the applicant made the decision to increase the size of the development by adding further apartments to the granted scheme. 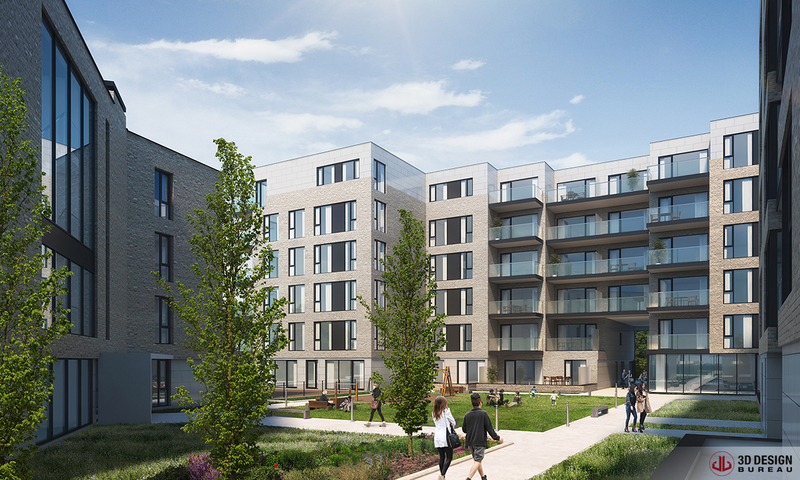 With additional units comes a change in planning and #team3DDB were called in as the CGI consultants to provide a number of photorealistic CGIs to compliment the application. Planning reference: New planning reference has not populated the South Dublin County Council database as of yet. 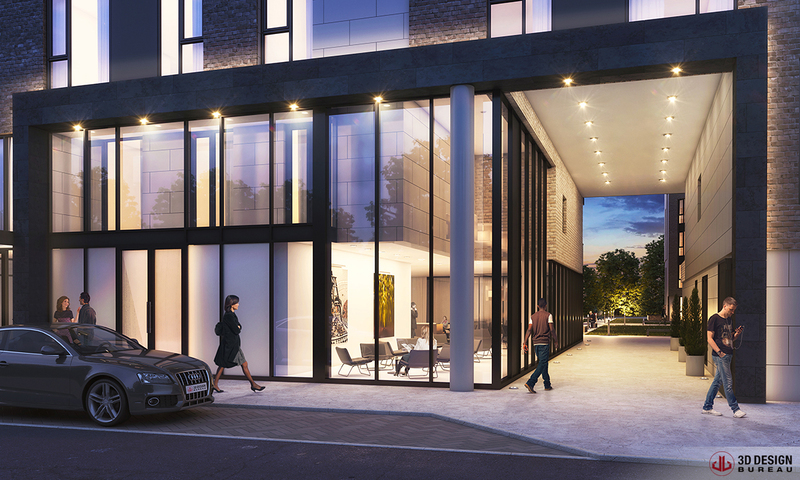 Project Details: Permission for development on a site of c.2.62 ha. at Carriglea Industrial Estate, Muirfield Drive, Naas Road, Dublin 12. 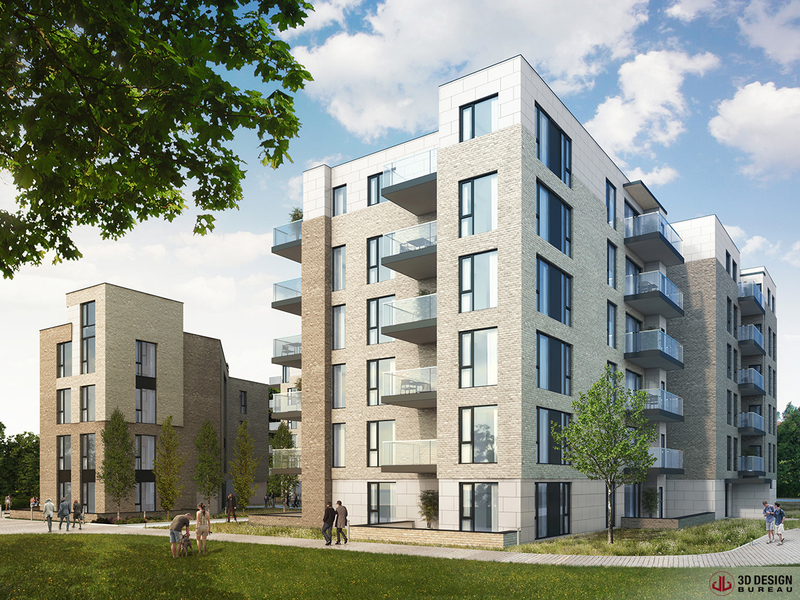 The proposed development shall provide for the demolition (c.9,127 sq m) of existing structures on site to provide for development comprising 340 no. residential units and crèche facility, all in a development proposal of 8 blocks (Blocks A-H) ranging in height from 4 – 5 storeys with associated basement level located at Blocks D-H. Overall, the development shall provide for 70 no. 1 bed units (c.55-59.4sq m); 159 no. 2 bed units (c.81.9-95 sq m); and 111 no. 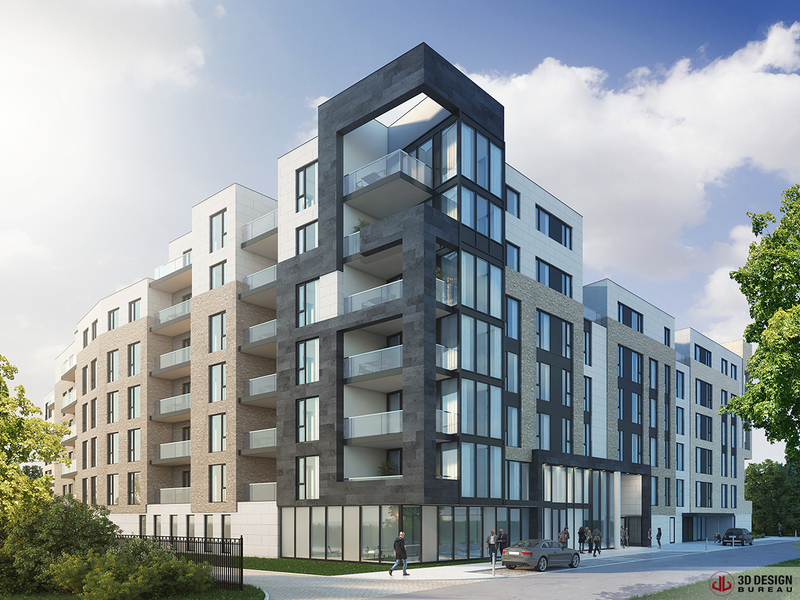 3 bed units (100-136 sq m); all associated balcony/terrace private open space areas. The overall development shall also provide for 348 no. car parking spaces (340 no. located at basement level and 8 no. located at surface level); 396 no. bicycle parking spaces (350 located at basement level and 46 located at surface level); plant room areas; water stores; bin stores; c. 3,510 sq m of public open space; c. 4,007 sq m of balcony/ terrace space; c. 11,753 sq m of communal open space; vehicular access and egress to the site via Muirfield Drive; and all associated site development, services, and landscape works. 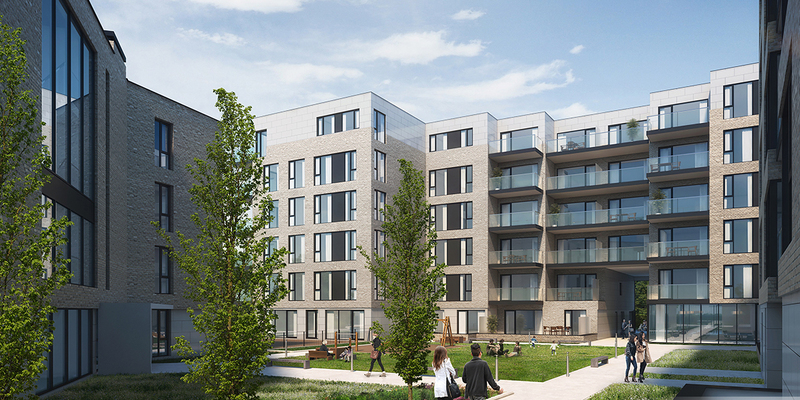 Property Group: Marlet Ltd, formerly New Generation Homes. 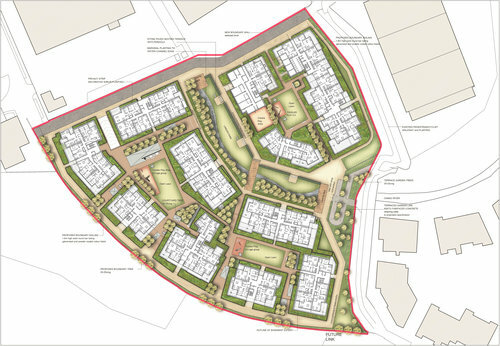 Planning Consultants: John Spain Associates – provide planning consultancy services and have expertise in a wide variety of planning projects from site appraisals and domestic scale developments to major urban and rural, brownfield and green-field developments. Project Architects: Ferreira Architects are a young firm of multidisciplinary professionals in the realm of architecture, urban design, interior design, project management, sustainability and conservation. Established in 2006, Ferreira Architects have collaborated with many of the major developers, builders and financial institutions in Ireland. 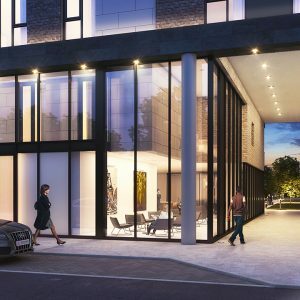 CGI Consultants: 3D Design Bureau are specialists in Architectural Visualisation, BIM and VR – Delivering Quality Design Planning and Marketing Solutions. For this project, the team created a series of presentation CGIs, all of which are being used in the planning process. If you have a project requiring high quality CGI’s please get in touch. You can contact us by phone or email and talk to us about your requirements and the solutions best suited to your project. +35312880186 info@3ddesignbureau.com. You can also check out our verified view montage work online.